If you’d like to bring your machine and make (or at least get started) on this project, plan to stay for about 2 1/2 hours. Be sure to bring a Show & Tell for extra chances to win a doorprize! To RSVP for this free event please call us at 970-565-7541 or send an email to Cindy. 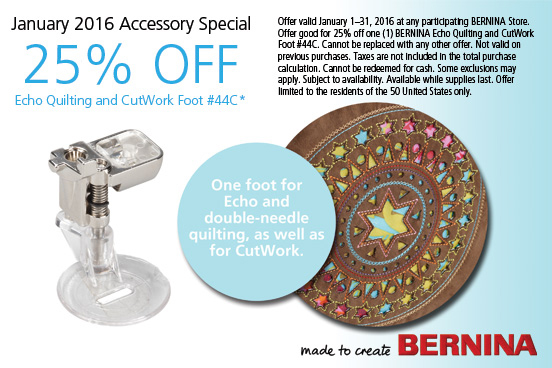 The January accessory special is the Echo Quilting and CutWork Foot #44C. 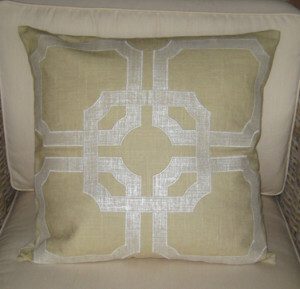 Regular price is $52 and with the 25% off it's only $39. Click here for more information on what this foot can do and watch a short video.